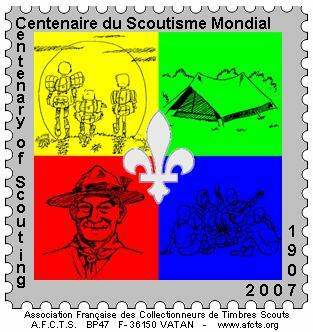 Association Française des Collectionneurs de Timbres Scouts ! The scouts movement is a voluntary non-political educational movement for young people, open to all irrespective of race, origin or faith. It was founded in 1907 by Baden Powell. It has over 38 million members in over 200 countries on all continents. According to the French law « informatique et libertés » (06 août 2004), you have a modification right of the data transmitted via the internet site forms on request.